With 250 watts of available power, the HA2500 will drive your small to mid-sized bass rig with incredible clarity and punch. In addition, the HA2500 offers a number of advanced features, including front panel compression and ten bands of graphic equalization, allowing you to create a broad range tonal colors. A dedicated in/out button even allows you to preset an equalization curve. Two fully adjustable contour knobs (high pass and low pass) also provide further control for shaping your bass sound. Effects send and return jacks let you connect to professional outboard effects processors and an effect balance knob enables you to adjust the relative amount of send ("dry") versus return ("wet") effect signal being routed to the speaker outputs. Protection relay circuitry also protects connected speakers from dangerous overloading and also prevents "thumps" when powering on or off. 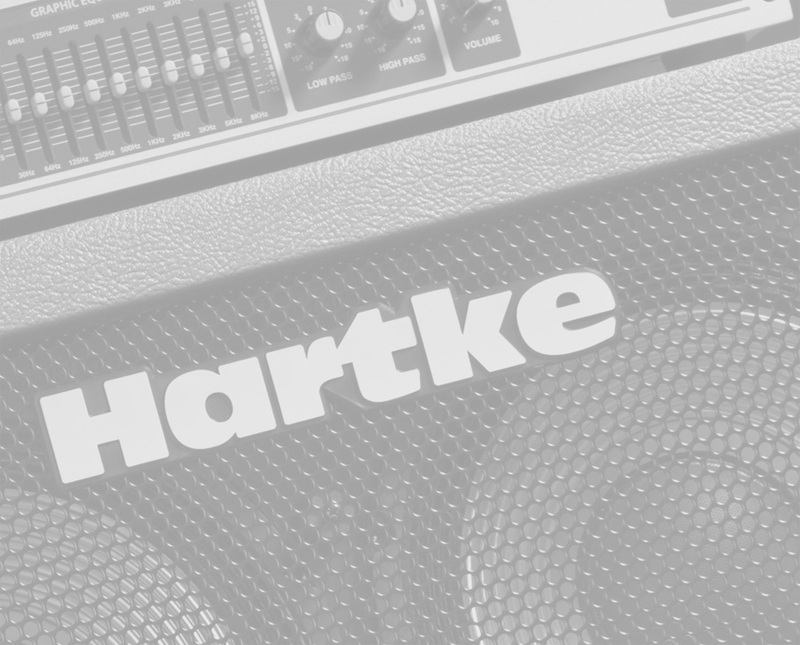 The Hartke silver-face chassis adds a clean, stylish aesthetic to any rig and rugged construction makes the HA2500 eminently roadworthy. Plus, with advanced preamp features, this amp is as ideal for studio work as it is for live performances. All this combined with exceptional reliability makes the HA2500 a staple amplifier for the contemporary bass industry. The 410XL features a twin chamber, dual-ported design. Housed in the cab are four 10-inch proprietary low frequency drivers that employ large voice coils, impregnated fabric surrounds and convex dust covers, all mounted in a heavy-duty steel frame. And with 400 watts of available power handling and a frequency response of 30 Hz to 5 kHz, this cabinet ensures professional performance and remarkable tone for any style of playing.